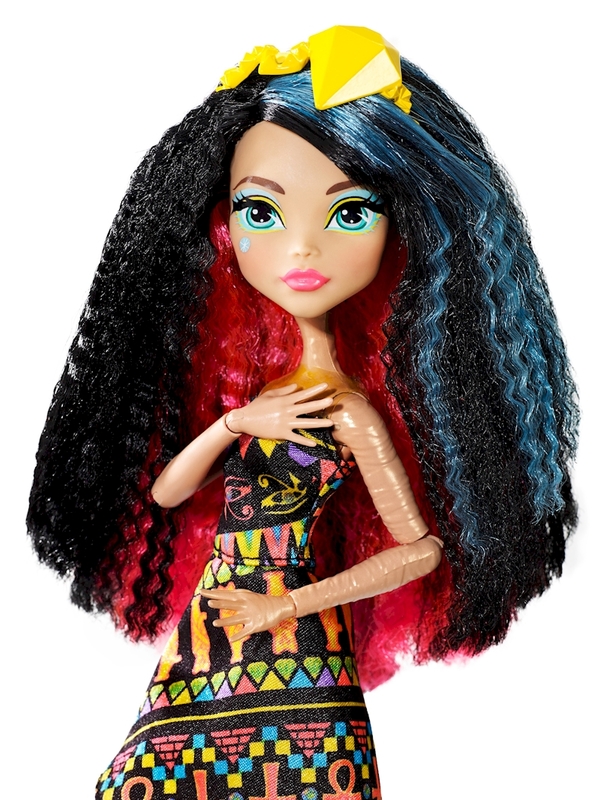 ​Amp up the fun with the Monster High™ Electrified dolls! 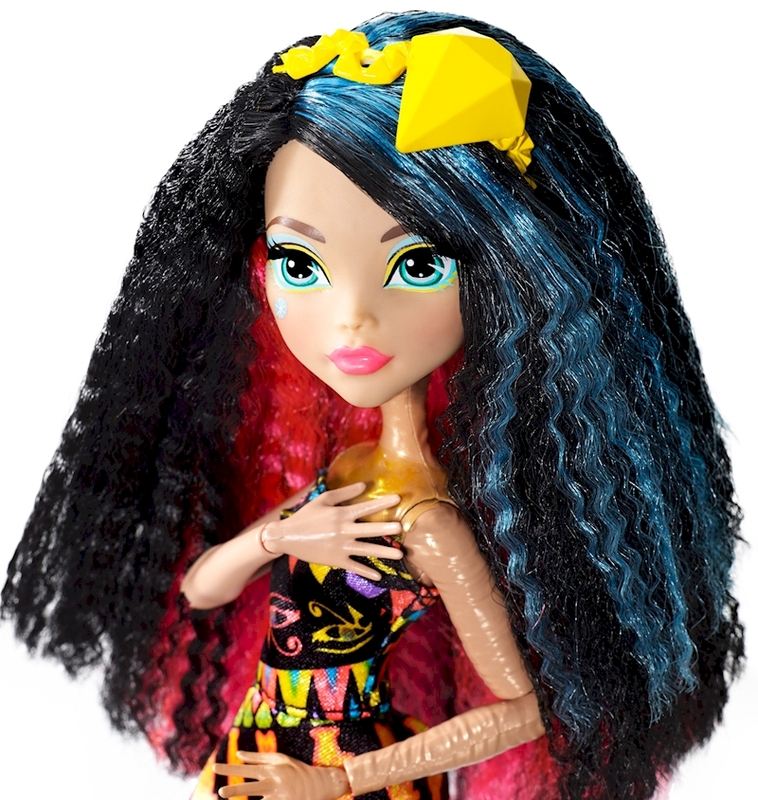 Bolting off the screen in bold colors, bright makeup and super-charged hair, these ghouls are ready to chase their dreams and light up the world! Cleo de Nile™ doll, daughter of a mummy, is recognizable from the movie in a shockingly gore-geous dress. A multi-colored print with Egyptian icons and golden tulle trim really brings Cleo de Nile™ doll's look to life. Neon jelly accessories, including coral shoes and a blue snake-inspired leg wrap, are electrifying. Voltageous hair with blue streaks, crimped styling and a golden "gem" hairpiece keep this ghoul plugged into high fashion and hair-raising fun. Recreate favorite scenes from the movie or spark up your imagination with lively adventures of your own! Collect all of the Monster High™ Electrified dolls for even more energetic play (each sold separately, subject to availability). Includes Monster High™ Cleo de Nile™ doll wearing fashion and accessories. Doll cannot stand alone. Colors and decorations may vary.